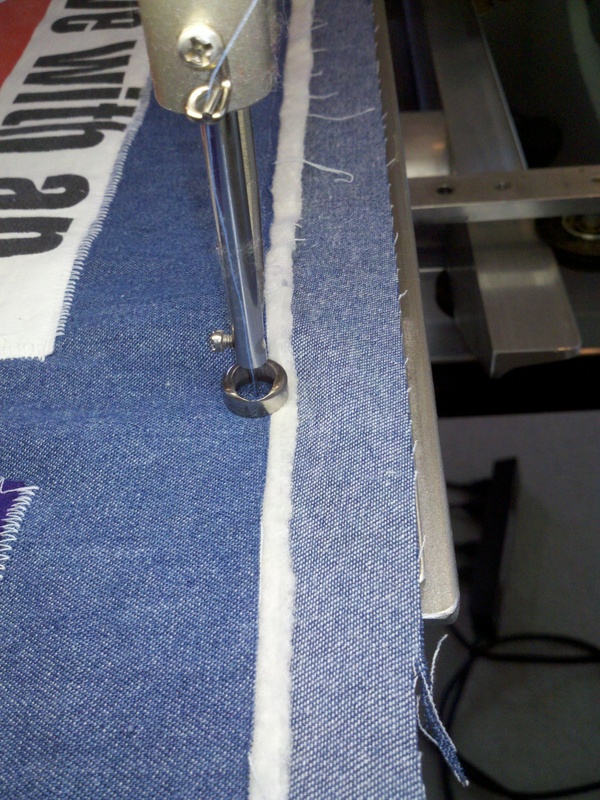 The extra fabric on the top and bottom of the backing are used to pin the material to the canvas rolled at each end of the longarm machine, ‘right’ side facing downward. After both ends are pinned to the canvas, the quilter rolls the fabric under so the top edge of the backing is within the quilting space. Then the quilter lays the batting on top of the backing, and lays the quilt top over the batting. There’s your quilt sandwich. If the top of the quilt is the same size as the backing, your quilt will end up short, because the backing is pinned to the canvas, the backing is now about an inch shorter than the top. The sides need extra material so we can ensure all the wrinkles (not everyone irons their backing material…) are pulled out and that when the quilter moves from one side to the other, that they don’t push or pull the fabric and create folds on the back. This is most likely to happen at the edges. 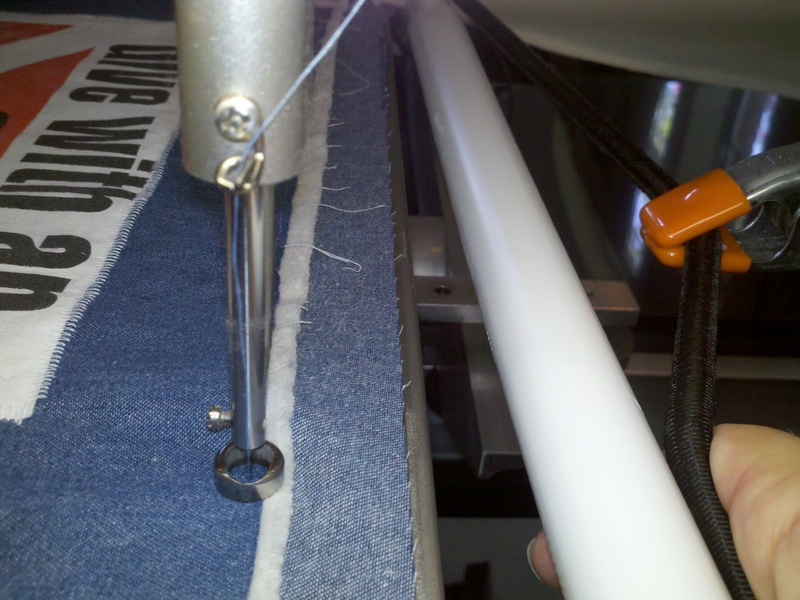 The way a quilter can get around that issue is to drive the longarm quilting machine with one hand and hold the edge of the material taught with the other, but this can affect the quilting quality. So please, my quilt making friends, please leave extra material on the sides and ends of your quilt for the quilter of your choice. You will make her (or him) happy and you will end up with better results. Happy quilting! This step sounds super easy, and it is, but there are a few things you can do with your backing to ensure the quilt turns out spectacular! As with the quilt top preparation, consult your longarm quilter to ensure their specific requirements are met. 1. Just as with your quilt top, using 100% cotton will ensure your quilt doesn’t end up mis-shapen or torn after washing and use. 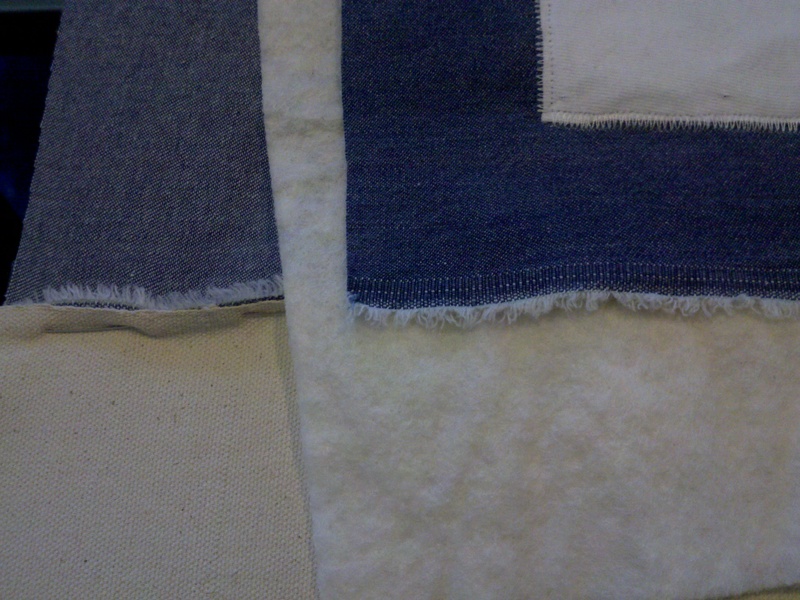 Quilting cotton is best, but minky and fleece are also acceptable. Using a sheet or denim can result in issues. 2. Using wide backing will result in no seams for your back. If you use regular width material (generally 43″-44″ wide), you often need to sew two lengths together to create a backing wide and long enough for the quilt. DO EVERYTHING IN YOUR POWER TO CREATE SEAMS IN ONLY ONE DIRECTION ALONG THE BACK. If you have them in both directions (perpendicular seams), the back can stretch and cause your quilt to become unsquare later on. 3. Ensure your backing material (and batting) are larger than the top. This is very important for your longarm quilter, and each quilter will have a different requirement for you. But I can tell you most of them will ask for allowance of at least 4″ on every side of the quilt. I’d be happy to explain why if anyone asks. 4. When you sew those two lengths together, ensure your seam allowance is large enough to cut through the selvage strip, or cut it off altogether. Not doing this will result in the backing stretching in an hourglass shape on the longarm machine, and again, your quilt can become mis-shaped after washing. 5. 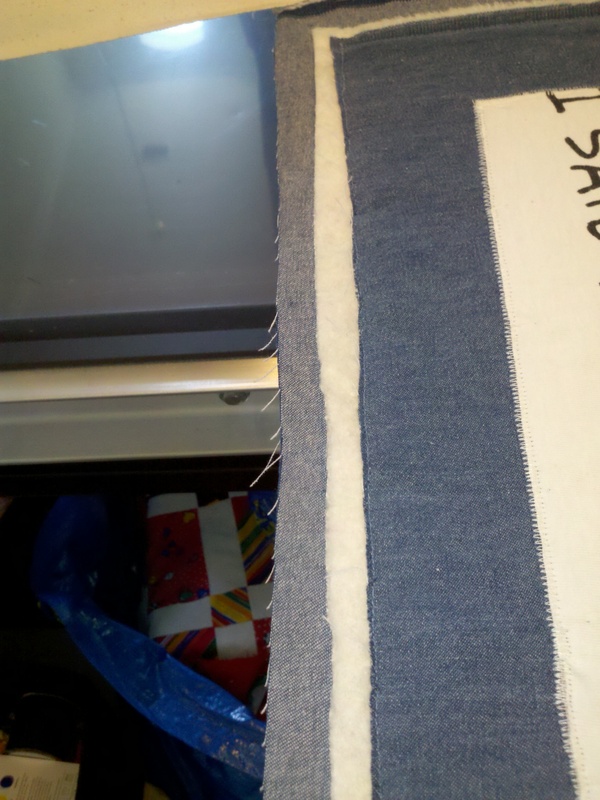 Pressing that seam will ensure it lays flat to one side or the other, or open. Click on the pictures below for greater detail. 6. If your backing has a top and a bottom, ensure you mark it appropriately for your quilter. 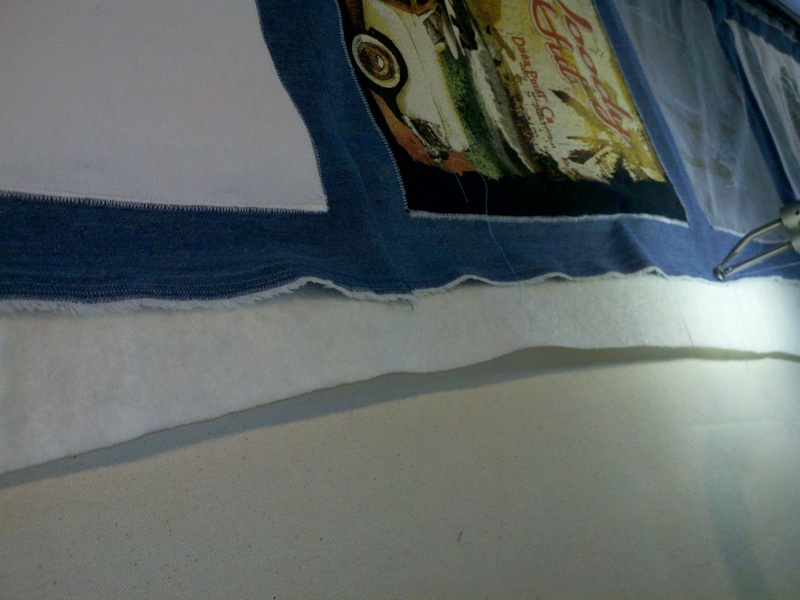 If you want the seam on the back centered, ensure you let your longarm quilter know. Most quilters will not center the backing because quilts are generally folded in half and half again, so that seam line along the quilt could breakdown more quickly from more wear and tear than other areas of the quilt. Putting the backing seam there is asking for problems down the road. Some quilters will seam the back for you, for a small fee.